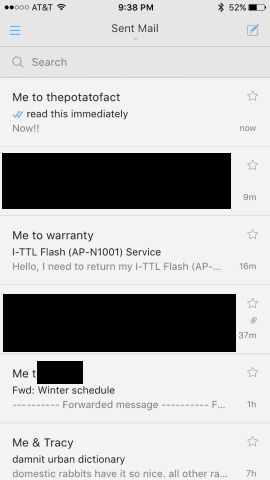 Newton introduces read receipts, email snooze, scheduled emails, and tons more for Gmail, Yahoo!, Exchange, iCloud, here’s our review. Update: An earlier version of this post stated that the $24.99/yr price would be valid for life. This is no longer part of the offer. I’ve tried Inbox. I’ve tried Boomerang. I’ve tried lots and lots of email apps, trying to recreate that seamless, supercharged productivity that my Outlook command center gives me at work. But none of them stick. Either I get tired of using the app—because it’s clunky, unreliable, or inconsistent across my phone, laptop, tablet, etc.—or the app goes belly up. Then I tried Newton. And it just clicked. Newton is the email app that you will still be using five years from now. Newton does pretty much everything I want a mobile email app to do. And if you have a Mac, it’ll do that on your desktop or laptop, too. Newton is made by the same people who made the beautiful and minimal CloudMagic app. In fact, CloudMagic users will feel right at home with the Newton app—Newton is the next evolution of CloudMagic, with all the features that CloudMagic plus more. The thing that first drew me in was the read receipts. One of my favorite pastimes at work is stalking people I’ve sent important emails to, seeing if they’ve read my email and are ignoring me or are just bogged down and haven’t gotten to it yet (or are at least pretending to do that). On the outside, that doesn’t quite work since there’s no universal protocol for read receipts that works between Yahoo! and Gmail or Exchange and iCloud, etc. That’s why I was so impressed that Newton figured it out. When you send emails in Newton, you can choose to receive a notification when someone opens your email. There’s a little indicator on the message that shows you the status, just like in Outlook. You can also set it up to receive push notifications when someone reads an email. That’s pretty impressive. Another thing I liked was how easy it was to set this up with Gmail. All I had to do was log in with my Google account, and I was up and running. No fiddling with IMAP servers or aliases or anything goofy like that. But the thing I like most about Newton is that it’s damn slick. Dare I say it’s faster than the native iOS Mail app. Usually, when I use a third-party email client, I feel like there is a layer of slowness between me and my email. I just feel it dragging. But with Newton, I don’t get that at all. I zip through emails, swiping left or right for different actions, selecting and taking action on multiple emails at once, and snoozing or scheduling emails with was much ease as I send regular emails. So, that’s my mini-review. I’ve been using it for almost a week now, and I like it. I want to get attached to it, and I think that’s going to be okay. Newton has staying power because it’s a paid app. They’ve set their pricing at $49.99 for a year-long subscription. That pans out to about $4 a month. If your email is as crucial to your life as it is to mine, then I think that’s totally worth it. Plus, it guarantees that Newton stays reliable and well-supported, with new features on the horizon. The app is free to download, and you can try it for free for 14-days. If you like it, you can continue using it by making an in-app purchase. There aren’t any Newton coupon codes or discount codes out there. But, for 10 lucky groovyPost readers, we have an amazing deal: 1 year of Newton for free. Update: But for the week of Thanksgiving, you can get a 50% discount on a yearlong membership. If you sign up between Nov. 23 and Nov. 29, you’ll only pay $24.99/year. Free Newton App Giveaway: Enter to Win 1 of 10 Year-long Subscriptions – WINNERS ANNOUNCED! Winners have been announced! Check your email or Twitter for details on redeeming your prize. Thanks for entering! On September 28, I’m going to randomly select a winner from all the entries we receive. Sign up for the free trial and let me know that you did, either in the comments, on Twitter, or via email. Share your thoughts about the app on Facebook or Twitter. Be sure to use the social media buttons and link back to this post so we can count your entry. Winners will be notified by email and Twitter. Sound good? Good. Looking forward to your entries! I love the read receipts! I like the seamless integration with Gmail. Me too! Just started doing that from my lock screen. I signed up for the free trial. Been a long time user of CloudMagic. My goto mail-client in all of my mobile devices and all my accounts (official & personal). Always loved the reminders (now it’s called snooze), cards (Evernote & Trello integration in particular), full-featured HTML signature, extremely quick & effective search (quickest, I would say) and last but nevertheless the least, the quick swipe. Happy to see some more additional send-later features in newton like one I see in boomerang. I signed up for the free trial. I love the fast search! It finds emails I forgot I had. Will definitely update you in a few months time about my thoughts on Newton if I win as I’ve already put 4 accounts in there. With the recent pricing changes, I’ve completely lost faith in this app. I’ve moved on to MailWise and I’m happier than ever. MailWise supports Exchange and IMAP with great conversation view and extra features, and is all I could ask for from an email app. Exchange bypass, large file transfer and a great UI are things I’m really enjoying currently. Signed up for the free trial. The built-in read receipts are an extremely useful feature! I used to have to use HubSpot through a desktop browser for this feature, but Newton takes care of this on all platforms. 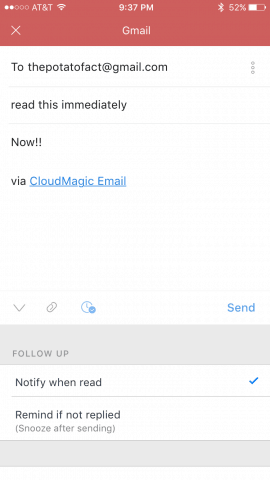 I’ve been using CloudMagic for quite some time now, and appreciated it’s speed mainly. Now that’s it’s Newton, I’m most excited about snoozing, which I’ve missed since Mailbox was stopped. Am using Newton Mail free trial. Love the very quick search and easy way it connects to email server. The ONE feature that makes me want Newton for a year is saving emails to Evernote. 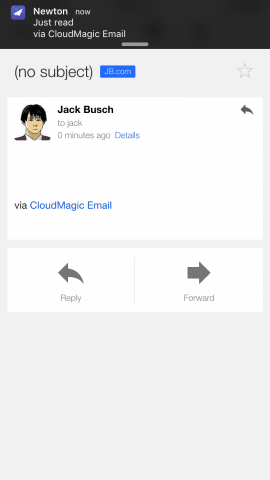 This was a free service with CloudMagic, but worth paying for, as it was done so well. 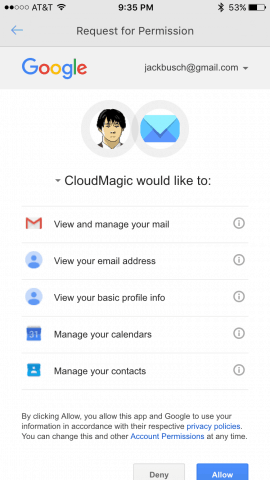 I have been a CloudMagic user since the beginning. I love it. The latest update shocked me, out of nowhere the product suddenly matured in a huge way. It went from a cute email app, to what is clearly meant to be a professional/business email app. While the new name did not immediately resonate with me, the new aesthetics/branding did. I love the new design. I’ve clicked the subscribe button, scrolled through the graphics and cancelled a dozen times. The functionality is phenomenal. Is an app that I use constantly on phone and desktop worth $50 a year? Surely. That’s less than a single video game. Less than I spend on booze. Less than I spend on coffee. Still, I balk, because is there really ROI for me? Do I need a professional email app, or can I get by without it? I’m halfway through my trial, and I’m still wrestling with that question. I’m leaning toward paying for it, but it’d be a lot easier to tell my lovely wife I won it when we sit down with YNAB to budget. I hate this new Newton email as being a trial member. Because I have to check people read my email or not. Have to save all my important mail to my linked Evernote . And some times I can click undo send for my humbly written email . The most reason I hate this amaging email application, I can’t send email without Newton email. !!! You do realize this is just a clone of the Boomerang app that was released several years ago right? Boomerang has read receipts (opt-in for the recipient, not invasive tracking receipts like most). Boomerang invented email snooze. Pretty uneducated piece here. I liked Boomerang, but didn’t end up using it full time. I don’t think they have an iOS app do they? 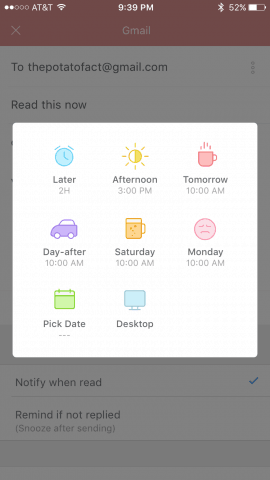 I signed up for the snooze icons that included a cup of coffee (really!) – but so far, it does not integrate seamlessly with Inbox by Google, which I also use as I like “visual”. Snoozed emails in Newton appear in “Done” rather than “Snoozed” in Inbox. But I’m going to stick with it in the hope it’s a bug. (Yes, I’m a procrastinator…). Actually I don’t care which is better or has good function. This Newton email is knit and working well and processing is very good. But $4 only per month, It worth to pay for all of this important my email. You know what? after 14 days you can still use this great application. I like this easy design , open and see the email list and compose or reply , That’s it. Just fun your mobile life. I installed Newton email on my MacBook and iPhone. I like this app when It’s named Cloudmagic because of fetching speed. One thing I recommend this knit email program is checking read or not function and undo function with shortcut key. However I wrote down about this function above two comments, I get a shock again with this simple big feature Let’s install bro. 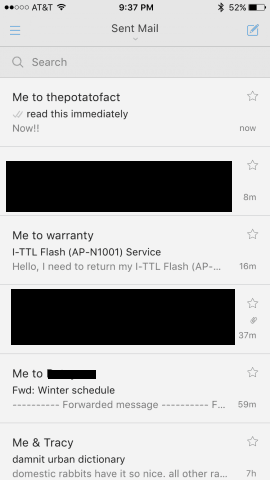 I love the smooth interface and all the cool features like recall sent emails! I signed up for the contest BTW!! #1 My iOS Cloudmagic told me to upgrade, and I decided to try it and created a Newton account. #2 I’ve been frustrated w Airmail on my Mac lately. I’d do better with this simple, clean UI, and I’m also used to it on my ipad. Also excited to try the Snooze feature! 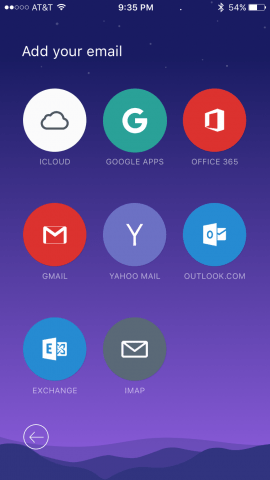 Related Items:email, free apps, icloud, iOS, mobile, Yahoo!